I’m tempted to treat this post like a wordless Wednesday post, because really, what could say more than these pictures of my kids holding six week old white lion cubs in their arms? Today’s trip was to the Wine Country. And I guess that most wineries don’t make enough money to sustain themselves by just making wine, so they’ve added other attractions. 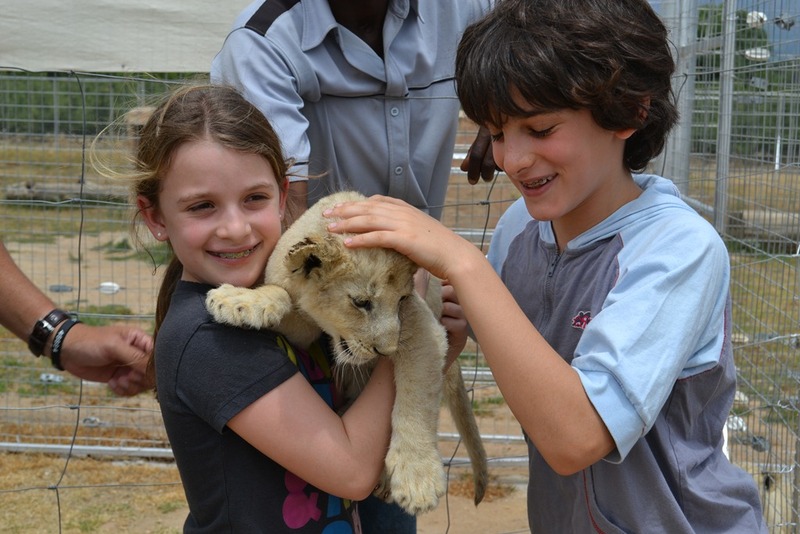 In this case, a White Lion game park. Arriving at the winery/game park/antique car museum/gift shopped/who the hell knows what else, I was unimpressed. This did not look like it would be the authentic experience that we hoped for. It seemed more like it would be the pre-package cheez-whiz version of the African experience. 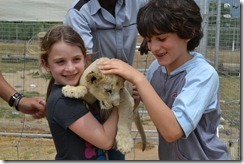 But pictures of adorable (and rare) white lion cubs abounded along the road, and the kids would not be put off. I wasn’t wrong. The place had large pens for the animals that let you get close – but wasn’t much better than a regular zoo. The installation was new, so there was no foliage or landscaping to take away from the brutal banality of the flat, arid plane where it was situated, and some of the lions looked, quite honestly, like they needed a drink. And in this Cheez-Whiz-y environment, I’m guessing they wanted a slurpee. It was extraordinary. 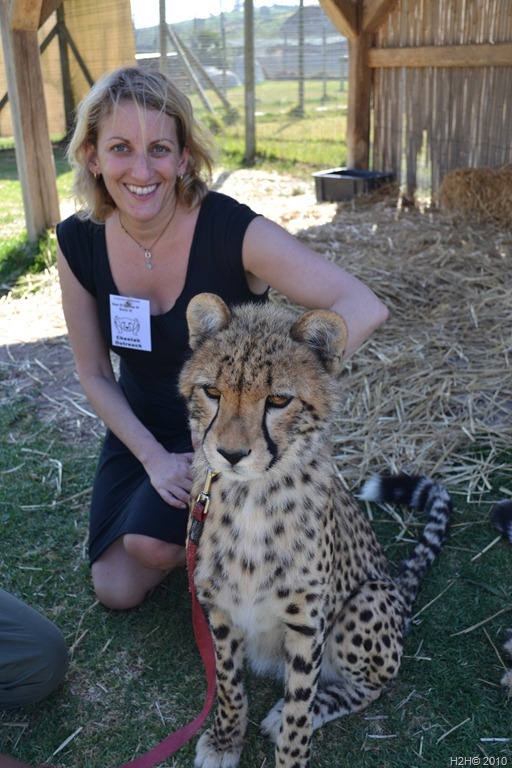 So much so that petting the cheetahs (that’s me!) – ambassadors for a nearing extinction species, and holding and petting the eagles and owls at the next winery, Spiers, was still wonderful and special and thrilling. But not quite the same as holding a baby lion in your arms.